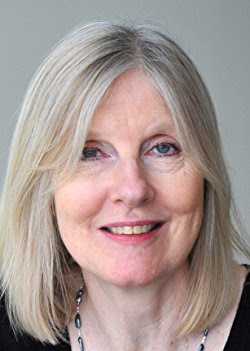 When Helen Dunmore died in July last year, WRITERS REVIEW posted a joint tribute by Adele Geras, Celia Rees and myself. 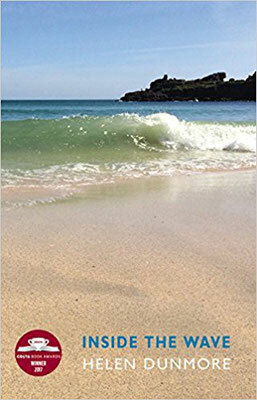 This week I was delighted - as were countless other admirers - to hear that this much-loved writer had won the Costa Book Award for her poetry collection INSIDE THE WAVE, following Ted Hughes as the second posthumous winner of this prestigious prize. So I'm re- posting my piece here. You can read the full post, with several comments from others, here. 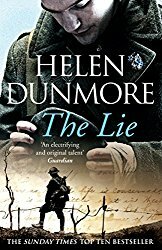 I never met Helen Dunmore or heard her speak, but somehow feel that I have, through the impact her books have made on me as both reader and writer. 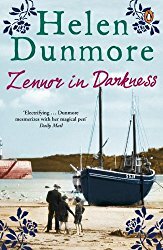 Her first novel, Zennor in Darkness, was widely praised for its freshness and immediacy and the luminosity of its prose. I read that on publication and have read most of her books since. Her subjects were wide-ranging: the First World War and its aftermath, the Siege of Leningrad, the French Revolution seen from England, domestic life with its tensions and rivalries. 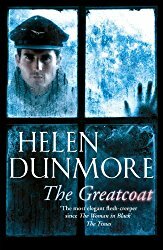 The Greatcoat was a novella for Random House's Hammer series in which a haunted figure brings back the terrible losses of aircrew in the war (a subject which resonates with me, as my father was a navigator in Bomber Command). She could be deeply unsettling, as in the relationship between brother and sister in A Spell of Winter and between sisters in Talking to the Dead. Everything she wrote had her distinctive stamp of honesty, insightfulness and lyricism. She wrote wonderfully about landscapes and weather, especially in the coastal settings she loved. Here is Daniel, in The Lie, looking down from a cottage roof. "There was the brown, bare, sinewy land running down to the cliffs. There were the Garracks, and Giant's Cap, and the Island. There was the swell, like a muscle under the sea, moving in long, slow pulses to Porthgwyn. I looked west and saw rainclouds, damson-coloured and making a bloom of shadow on the sea." She was always good on food, as here, when Nina in Talking to the Dead makes a tart: "the apples must be cut evenly, in fine crescents of equal thickness, which will lap around in ring after ring, hooping inwards, glazed with apricot jam. The tart must cook until the tips of the apple rings are almost black, but the fruit itself is still plump and moist. When you close your eyes and bite you must taste caramel, sharp apple, juice and the short, sandy texture of sweet pastry all at once." It's enough to make you salivate. Food is abundant in this novel, while in The Siege she wrote powerfully and unforgettably about hunger and cold, desperation and survival. 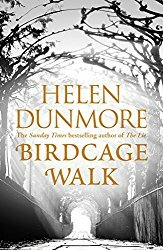 I’m glad now that there are Helen Dunmore novels and poems I haven’t read yet. I will ration them out to myself, in order not to use up the new reading experience too quickly. She was an exhilarating, generous talent whose words sing from the page and will ensure that she is remembered.